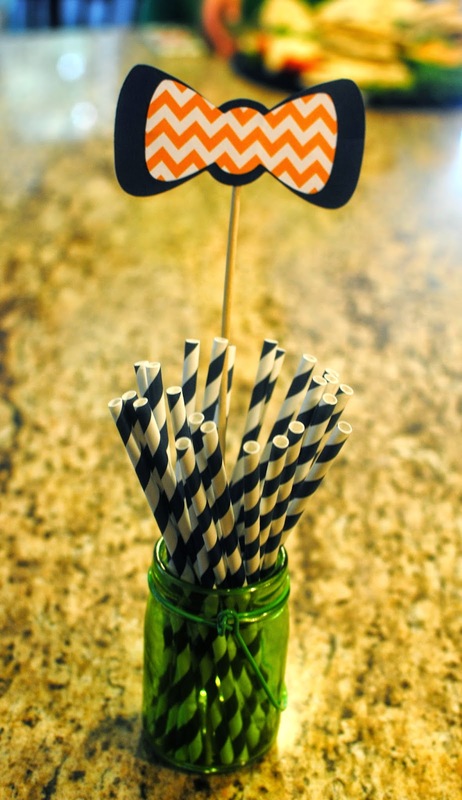 Are you into cute baby showers and bowties? Well if so you will love this adorable "Little Man" baby shower my sister-in-law threw a few weeks ago. Kilbi also made this adorable "little man" banner and colorful bow. The yummy cake was created by Koris Kakes - how adorable is it? 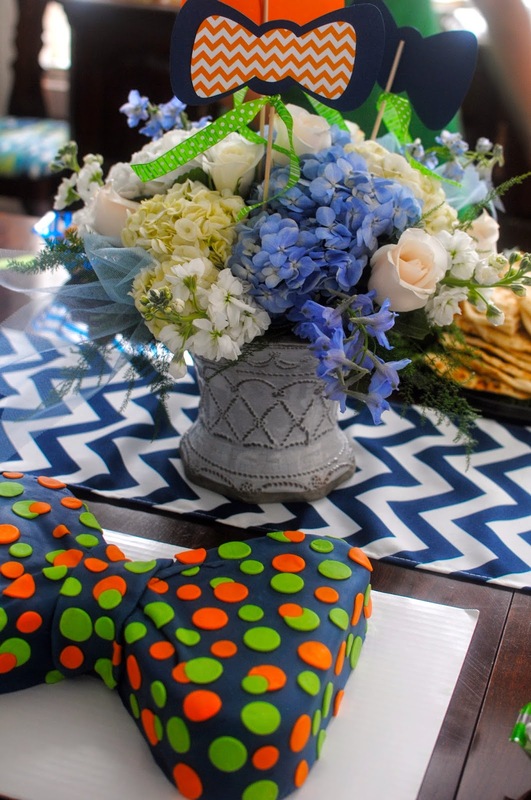 I love little man parties…they’re just so adorable! Those cookies really are gorgeous. I can’t imagine how long they took to make!